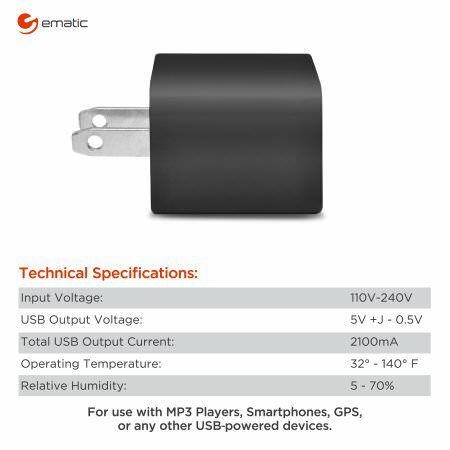 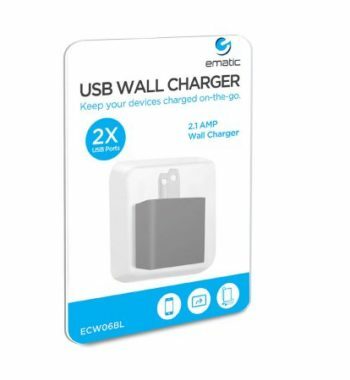 Gain access to two connections from a single source with this Ematic Dual USB 2.1-Amp Wall Charger. 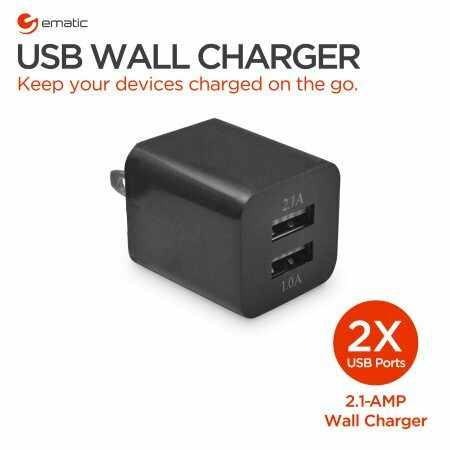 It features a lightweight, portable design that’s easy to pack up and take with you wherever you go. This smartphone wall charger also works on other electronic devices, such as a tablet, MP3 player, laptop, and more. 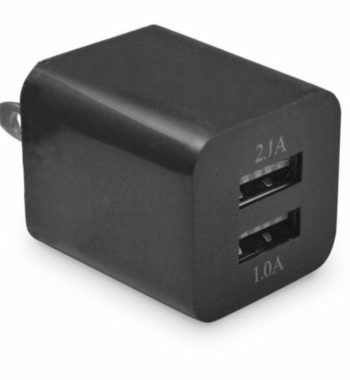 It gives you access to two separate USB ports, one with 2.1 amps and the other with 1.0 amps. 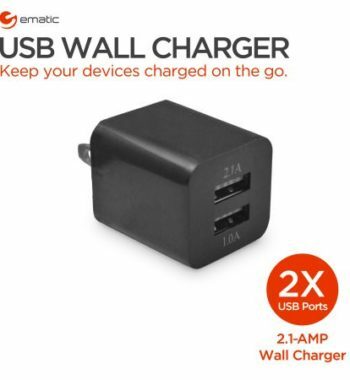 It’s available in multiple colors to suit your needs.